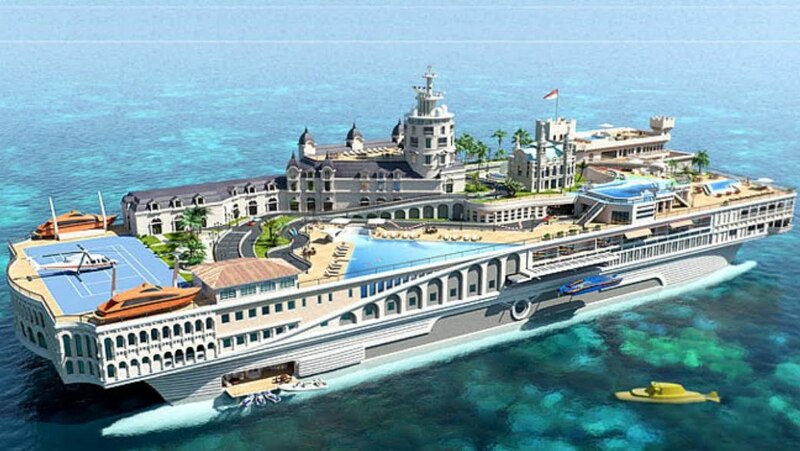 Here's a billion-dollar yacht in the plans by Monaco. Sheesh, don't these people have anything better to do? Best example money can buy of conspicuous consumption, and paid for, no dout, by US petro dollars. Is that a catamaran? Or am I seeing things? Wow. Uh, I dunno know...better a yacht than a warship. But if Monaco did build a warship, would it shoot poker chips at their enemies? Don't let the picture fool you. The bathroom hardware in my suite is just gold plated and the servant's quarters are almost as big as my walk-in closet. Oh, those poor people! They'll have to put into port somewhere to play golf! Can you imagine the inconvenience! Well perhaps there's at least 3 holes on one of the lower decks. It is the ultimate Bug Out Home (BOH). That's what I call the prepper lifestyle. Anonymous @ Jan 18, 5:32 p.m.
That was my first thought as well! Active blog commenting is important beyond SEO.